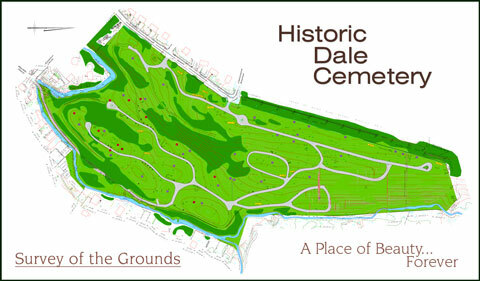 Interactive Flash slideshow of the Dale Cemetery grounds and historical markers, with emphasis on the vistas offered in each season with it’s own special beauty. 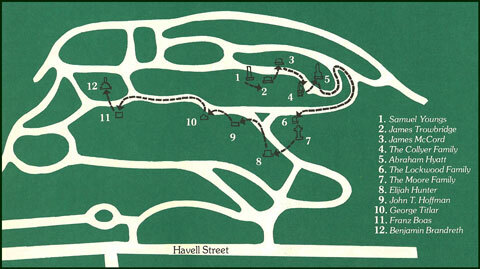 Find your way through the winding paths of history. Download links below for PDF Maps and easy printing. Dale Cemetery Walking tour Click on map below to open PDF (201KB) for printing. Click on map below to open PDF (763KB) for printing.